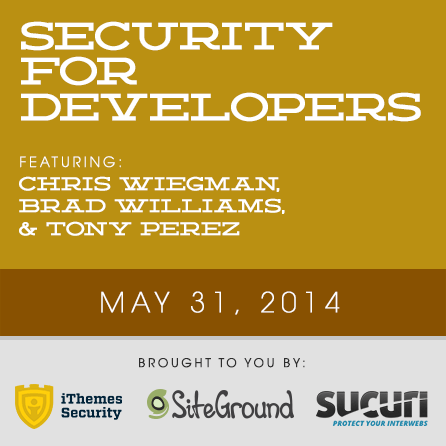 Posted on May 28, 2014 by Brian R.
Tony will be presenting during the Security for Developers session, which you can watch LIVE on May 31. During his presentation, Tony will walk us through how to professionally clean a site after it has been hacked. Check out his interview answers below. When and how did you get started with WordPress? I got started with WordPress in 2010, I was introduced to the platform and its community by my brother-in-law, Dre. At the time I was in Technical Architect designing enterprise systems for the Department of Defense (DoD). Working on a specialized technology known Geographic Information Systems (GIS). What resources do you turn to when you want to learn something new? When I want to learn something I turn to my technical advisor, Google, and as of late I have been turning to to Twitter as well. When it’s WordPress related I go to websites like WPBeginner, WP101, and how could anyone not go to Chris Lema’s website. What is your favorite WordPress feature/aspect? I like how easy to use WordPress is, it’s actually why in 2010 I opened a design / development shop with Dre, CubiTwo. Having worked for years on closed systems I knew first hand how hard it was for clients to adopt web applications and usability and ease of use was key. When I saw how easy WordPress made this for the end-user I knew it was a step in the right direction. What sparked your interest in web security? How did you get from there to here? Interestingly enough, I first got into Web Security in 2008 / 2009 with DoD when I was tasked with putting together security documentation for our applications. I actually hated the entire process, but if you have ever worked with the DoD you understand why – it’s red tape hell. It wasn’t until the beginning of 2011, when I was invited to join the Sucuri team that I gained a much deeper appreciation for website security specifically. The challenge with things though was that I was going from one industry to another, for those that have ever done that, you know how challenging that can be. Unlike school though, it’s amazing how much you learn and absorb when you’re really interested and passionate about something. While not a developer, I quickly got into the domain of testing proof of concepts, leveraging toolsets, and really working to understand attackers and their tactics. Somewhere in this process I was so acclimated with the entire process that it became second nature, it’s really unclear at what point that was. What advice do you have for others looking to become WordPress experts? In terms of giving advice on how to become an expert, my number one recommendation is not to work to be an expert. Work to learn your trade, the best experts are those that don’t categorize themselves as an expert, instead aim to learn their trade and work to produce something of value for the world. This can happen in months or years, stick to it and have more confidence in yourself than anyone else. What is one interesting non-WordPress-related fact about yourself? I’m a pretty adamant Brazilian Jiu-Jitsu practitioner and love to compete when possible. 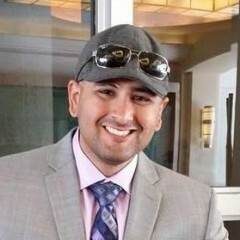 If you want to see Tony present on how to clean a hacked site, get your event ticket today! Never miss a thing! Join our mailing list and we'll keep you in the loop about upcoming sessions, courses, discounts and freebies.